Cleanse yourself with the D:tox line of body and facial products from Giovanni Cosmetics. These products contain charcoal and volcanic ash from the Mediterranean Sea in the volcanic arc of the Lipari Islands which delve into pores, absorbing the day’s toxins, impurities and excess oils that interfere with skin clarity. Giovanni has donated $156,307.48 to the National Breast Cancer Foundation, Inc. from D:tox System® Body Care and D:tox System® Facial Care sales since 2008 and are continuing in its efforts for 2011. Available at Whole Foods stores, $9.95 each for most products. 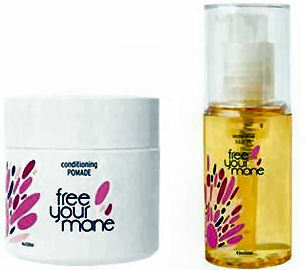 Get your hair back in tip-top shape with Free Your Mane Conditioning Pomade and Restorative Hair Oil. 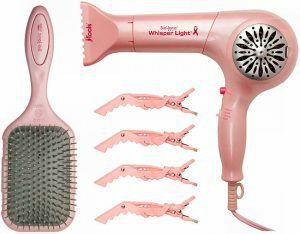 They will be donating 7% of all proceeds from both products to Breast Cancer Awareness through their non-profit organization, Se%en. FreeYourMane.com, Conditioning Pomade for $15.95, Restorative Hair Oil for $24.95. 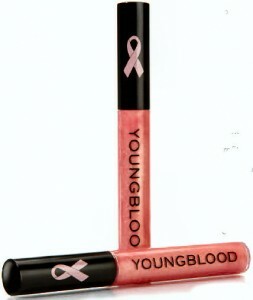 Give your lips a little sparkle with this rose-pink gloss from Youngblood. A portion of the sales goes to the National Breast Cancer Foundation, a non-profit organization that increases awareness through education and research, and they fund free mammograms to women who cannot afford them. This cause is especially important to the President / CEO Pauline Youngblood, who is a breast cancer survivor herself. Forever Pink, YBSkin.com, $23. Kiss breast cancer goodbye with these temporary lip tattoos from Violent Lips. $2 per package sold will be donated to The National Breast Cancer Coalition. Pink Ribbon Line, ViolentLips.com, 3 for $9.99.